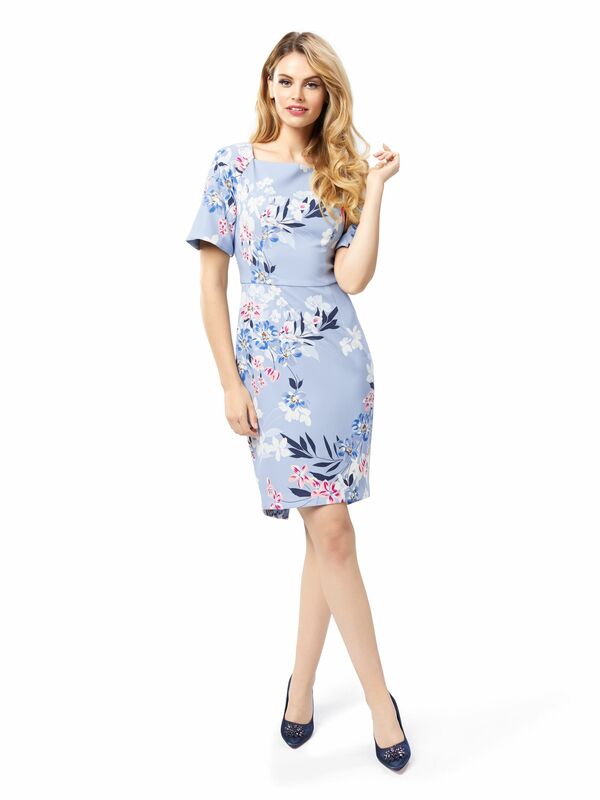 Neptune Bay Dress https://www.review-australia.com/au/neptune-bay-dress-blue/RE18DR250.REBLU113.html For a feminine events style to flatter, look to the Neptune Bay Dress. Fitted and crafted from stretch, bonded fabric, it celebrates the pastel hues of sky blue and pink. With a boatneck, front split hem detail and falre half-sleeves, it will have you standing out with its subtle floral print. 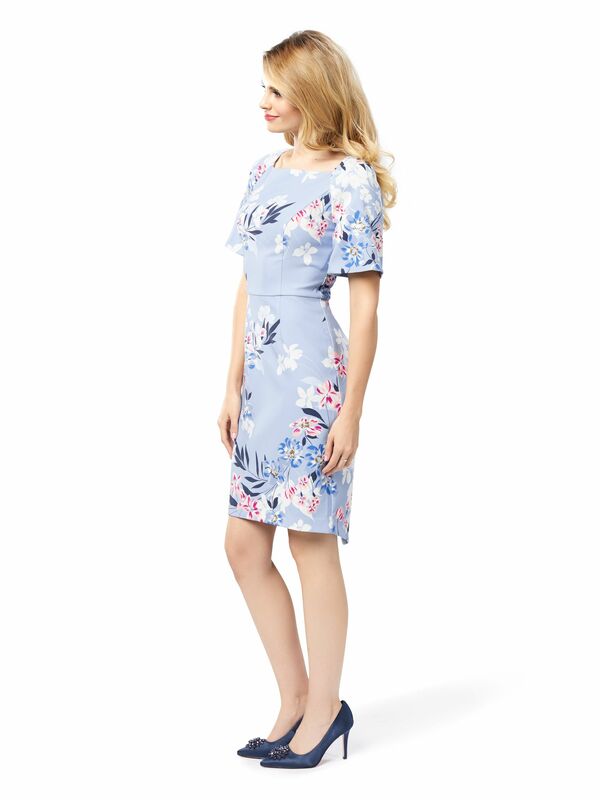 For a feminine events style to flatter, look to the Neptune Bay Dress. Fitted and crafted from stretch, bonded fabric, it celebrates the pastel hues of sky blue and pink. 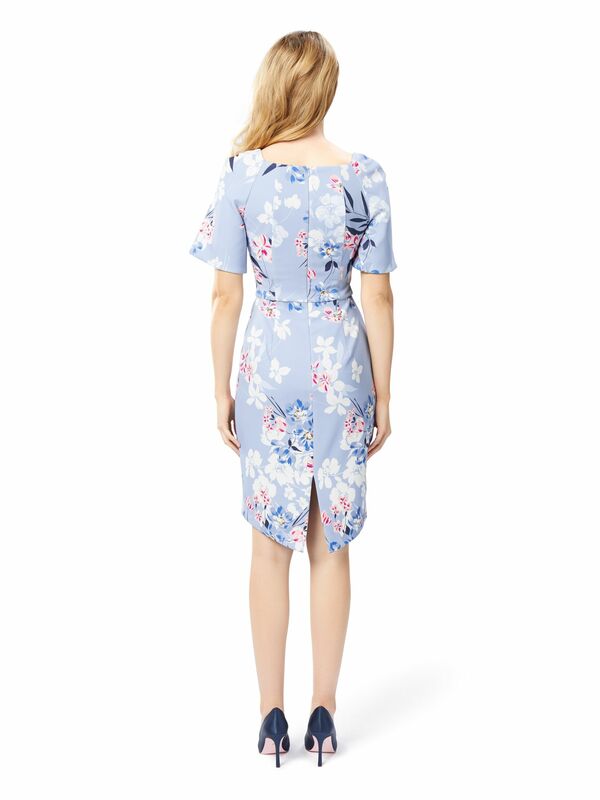 With a boatneck, front split hem detail and falre half-sleeves, it will have you standing out with its subtle floral print. Neptune Bay Dress is rated 4.8 out of 5 by 16. Rated 5 out of 5 by Natasha king from Lovely dress I received my Neptune bay dress, ow my what a delight. It fits perfectly, the beautiful blue colour is adorable. The fabric is so soft. One of the most comfortable dresses I worn. Love the style of this dress as I always go for prom dresses. So lovely to have something so different in my wardrobe. Rated 3 out of 5 by Alii from Lovely print I was really happy with the dress, which I bought from an interstate store as there were none locally. However, I was a little disappointed that it had a small pen mark on the front and I didn’t have enough time to return it for an exchange, prior to wearing it. Rated 5 out of 5 by wicky13 from Delicate Colours So pleased I bought the Neptune Bay Dress. I love the shape of it and the delicate pretty colours are very flattering. Can be worn on many occasions and I’m sure anyone would feel confident and good in it. Another Review winner. Rated 5 out of 5 by Michelle47 from Beyond Stunning The quality and cut of the fabric are beautiful. Easy to wear, doesn't crush and makes you look like a million dollars, what more could I ask for?